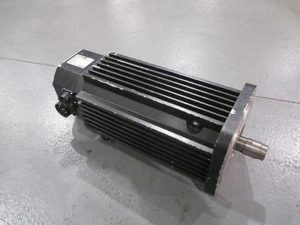 At Electric Enterprise we have been providing quality Reliance servo motor repair for many years. With quick turnaround times, we always strive to get you back up and running smoothly and without complication! For all of your Reliance servo repair needs Electric Enterprise has the experience and expertise to get your motor back in operation and get you back on track. Reliance motors have been used by industrial businesses all over the world. Despite their reliability and popularity they can still break down. Acquired by Baldor in 2007, Reliance is now part of the Baldor Alliance brand. We have been repairing both Baldor and Reliance servos for more than 50 years and our technicians are highly experienced in all areas of servo motor repair and rebuilding. Throughout the testing and repair process, we work closely to original Reliance factory specifications. If any part doesn’t meet these strict requirements we will then provide the appropriate repair or replacement. Re-manufacture a new Kollmorgen servo motor front flange using the old flange and factory dimensions. Repair all the windings. Both AC and DC servo motors windings are washed, baked and tested. Replace contaminated or damaged resolver rotors and stator. If your servo motor is beyond repair, we have a wide selection of reconditioned parts that work as new! Just ask our experienced technicians to discuss your options. Testing for grounded electrical parts in the servo motor. Surge testing all AC stators to at least 1500 volts. Alignment test for your servo motor.